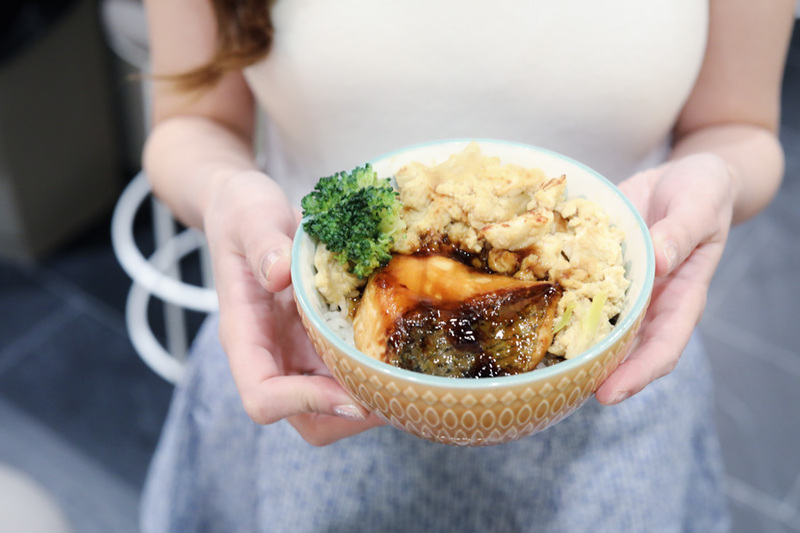 There are many Japanese donburi shops in Singapore, but this promises a variety of interesting bowls at prices that are wallet-friendly. 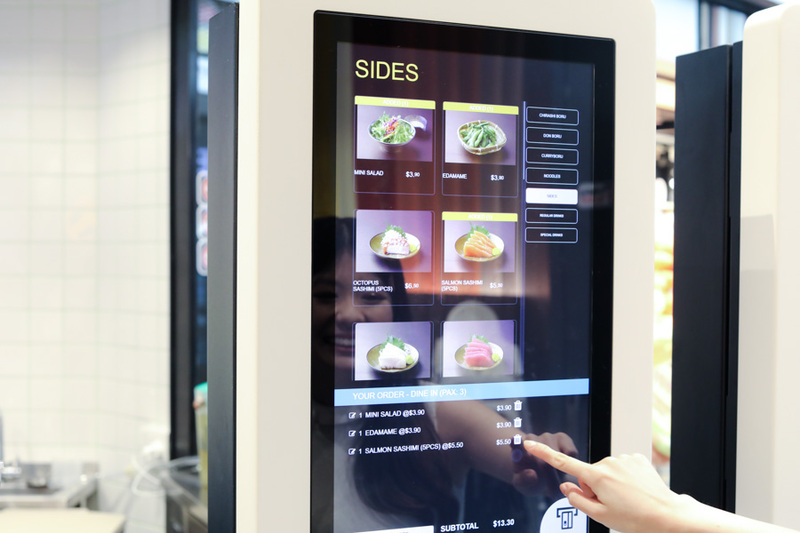 Operating as a quick-service restaurant, it allows you to order and quick pay for your meal over the counter fast-food style, or via its self-service ordering kiosk. 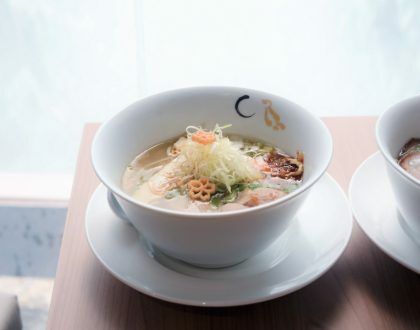 It specialises in DonBoru (rice bowls), CurryBoru (curry rice bowls), ChirashiBoru (sashimi bowls) and Noodles, sold at price points that won’t dent your budget. Almost all the mains here are available in two sizes: Regular and Mini. 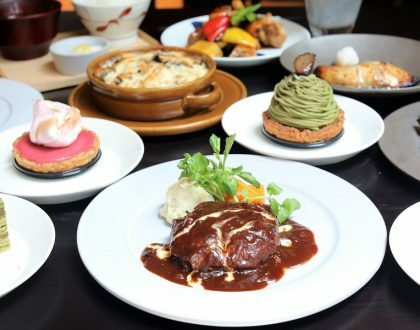 The Regular is good for a standard lunch or dinner, while the Mini is recommended if you are in the mood to sample many different dishes at once. If you have kids in tow, likewise get them the Mini bowls (starts at $4.90) as these are kid-friendly in portion. A dish with the word ‘volcano’ inevitably conjures excitement. 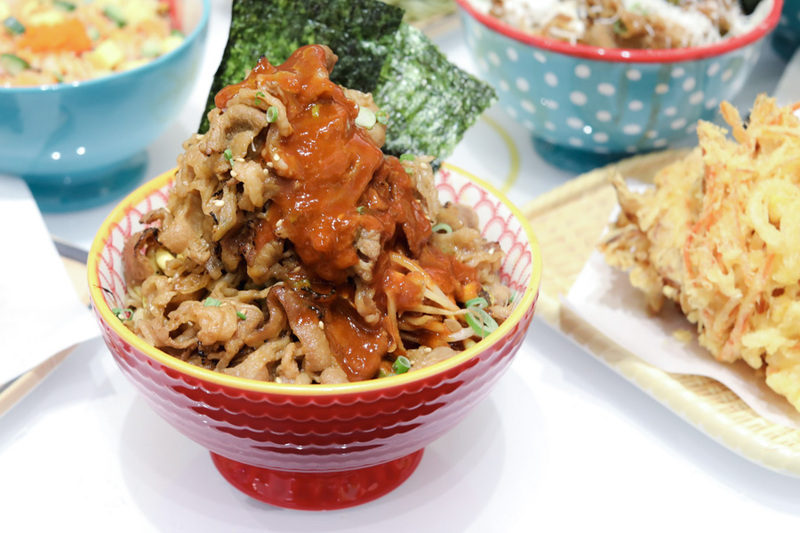 Sora Boru’s Volcano Beef Don will tease you with spicy “lava” running down its sides. These come with a serving of steamed Japanese rice, your choice of either stewed cabbage or seasoned bean sprouts, and a heap of succulent flame-grilled slices of beef. 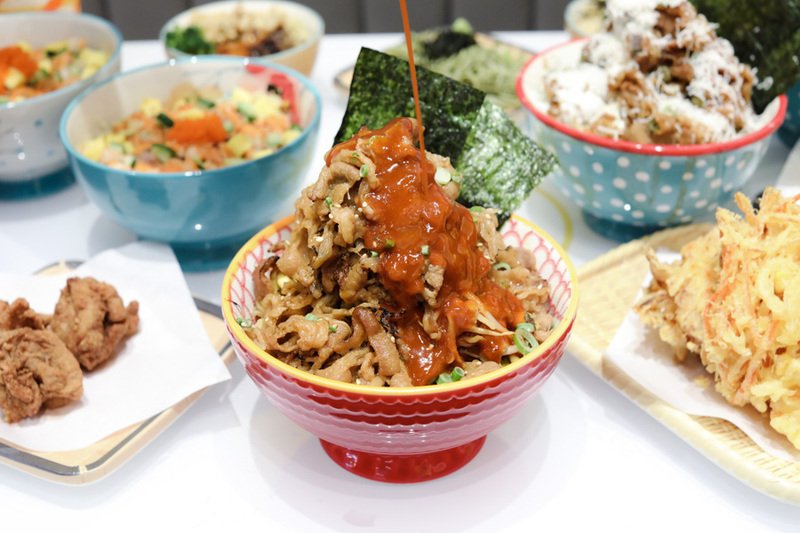 As for the “lava”, this is an in-house concocted sauce that reminded me of the Korean gochujang with its complex, earthy flavours – though the chefs said they were not quite the same. For spicy-food lovers, this might be a walk in the park; but for others it would add that tinkling bit of shiokness. 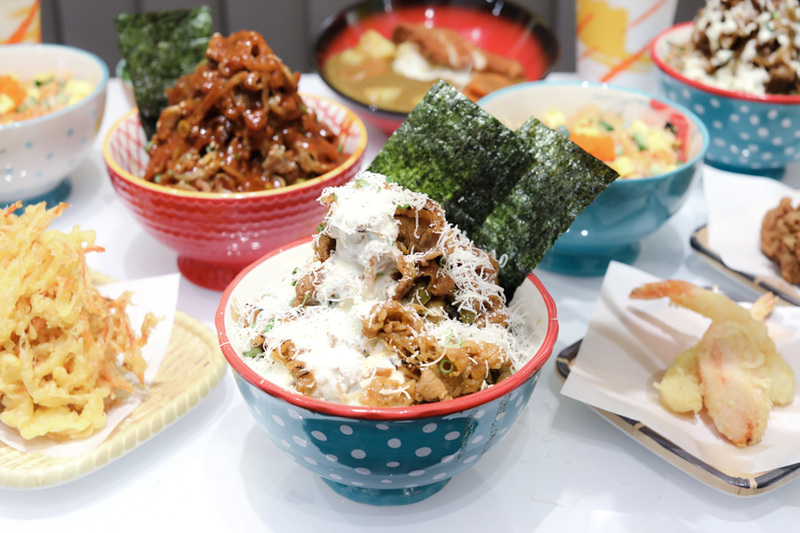 You may have tried Snow Deep Fried Chicken before, and this is a one-of-a-kind Beef Donburi. 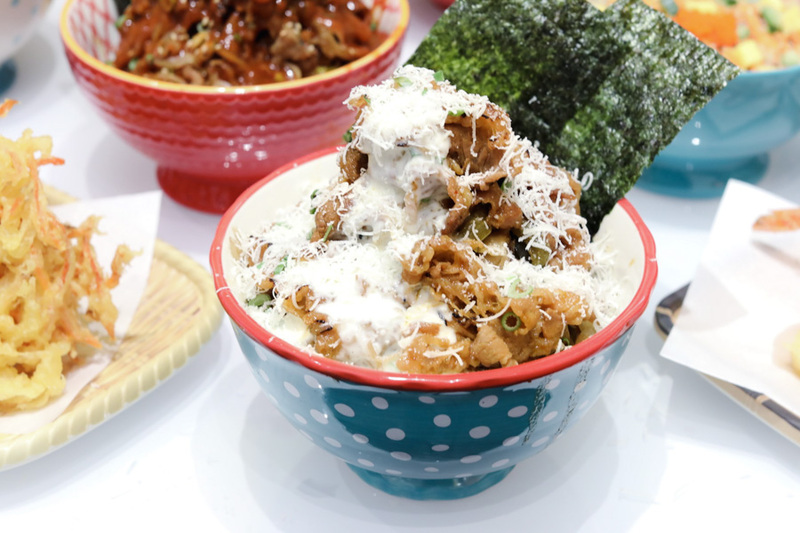 The Snow Beef Don is dressed with grated parmesan and a special sweet-savoury sauce made from whipping cream. It is hard to decide which I prefer between the two, but the sweetish-creamy sauce comes across as more unexpected, and surprisingly works enjoyably well together as an entire bowl. On an additional note, if you love your bean sprouts (or stewed cabbage), this has heaps of it – working like the Korean banchan for that refreshing crunch and fibre. 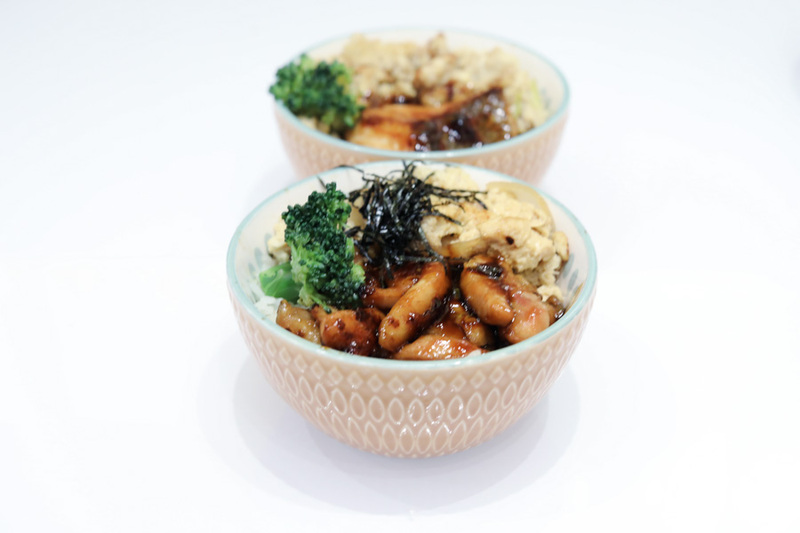 Other rice bowls to get include Salmon Teriyaki Toji Don (Mini $7.50, Regular $13.90), Chicken Teriyaki Toji Don (Mini $4.90, Regular $8.50) and Ebi Vegetable Tendon (Mini $4.90, Regular $9.50). 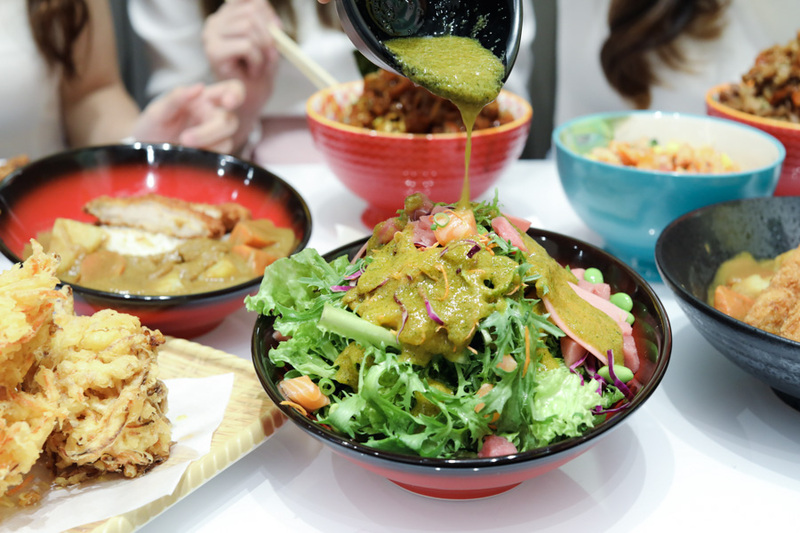 Each bowl of curry rice features Sora Boru’s signature homemade Japanese curry, made using a secret recipe that has been tweaked and perfected for several months. The curry’s spice level is on mild but you can switch it up a notch or two upon request. I think even a Level 2 is still quite manageable. With its subtle fruity taste, the rich curry won’t give you I-can’t-take-it-anymore feels. 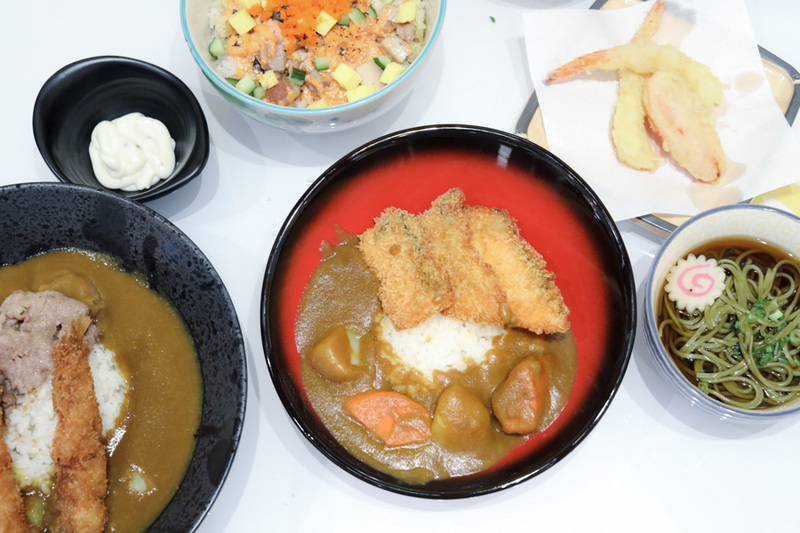 Taste this special curry with either the deep-fried breaded Chicken Katsu (Mini $6.50/Regular $10.90) or the Breaded Ebi (Mini $6.50/Regular $10.90). Both provide a wonderful textural crunch to contrast and complement the creamy curry sauce and soft fluffy rice. 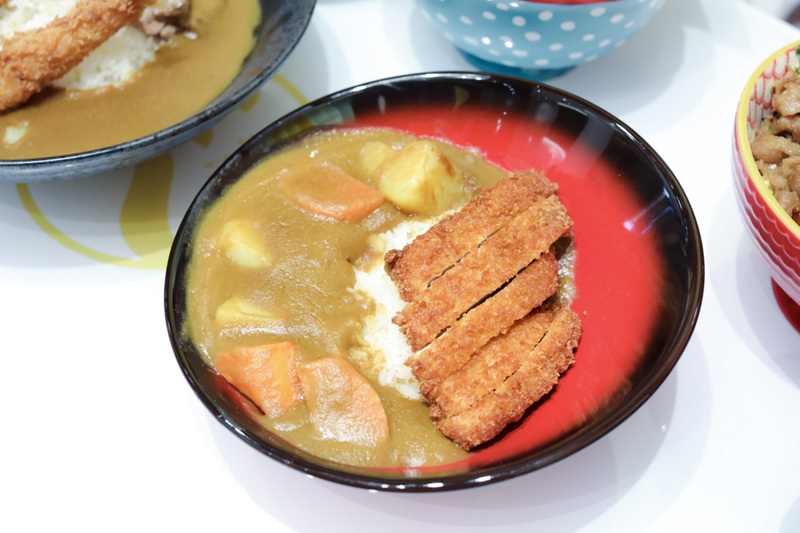 Upgrade your CurryBoru meal and go for the two-protein-combos, which is not that commonly found in Singapore. 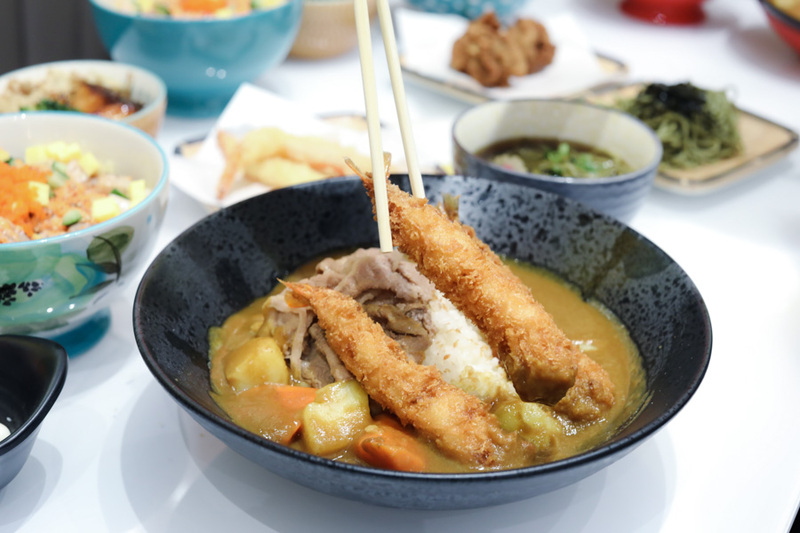 The Breaded Ebi with Shabu Beef is your surf n’ turf style curry rice, mixing seafood and beef together. So you get a bit of crispiness from the tempura prawns, and juiciness from the thinly sliced meat. Another option is to pair your Shabu Beef with the heart-friendly salmon instead of the prawn. The Breaded Salmon with Shabu Beef (Regular only $11.90) is equally filling and satisfying. 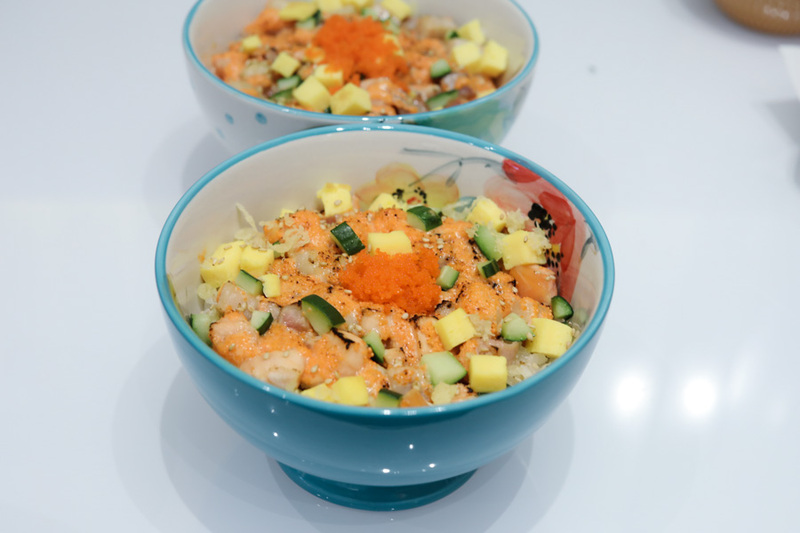 Unleash your creativity as you prepare a design-your-own Chirashi bowl in 6 steps. You are in control as get to select your preferred size, base, raw fish, add-ons, sauce, and garnishes. The Chirashiboru comes in 3 sizes and priced accordingly. Each size comes with its own number of base, raw fish, add-ons, sauce, and garnish. As for dressing, decide whether you want a light and creamy dressing like the Sesame Sauce, something spicy, or the recommended house blend Shoyu Sauce. Note the Spicy Sauce is for rice-based ChirashiBoru only. I liked that there is a Salad option, for days when you would just want something more guilt-free and yet substantial enough. 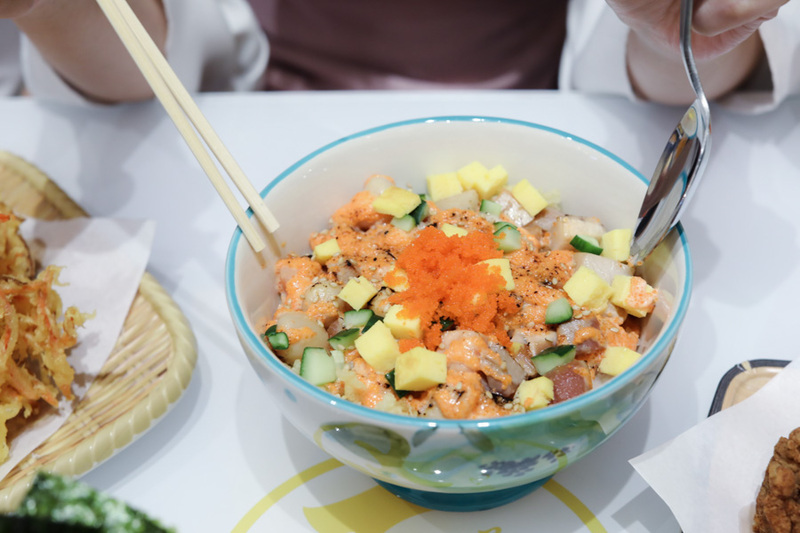 Another recommended ChirashiBoru is the Bara Chirashi Ebimayo Aburi Don a rice bowl topped with assorted fish and seafood cubes of salmon, tuna and baby scallops; tamagoyaki and cucumber blanketed in blow-torched shrimp roe mayonnaise. 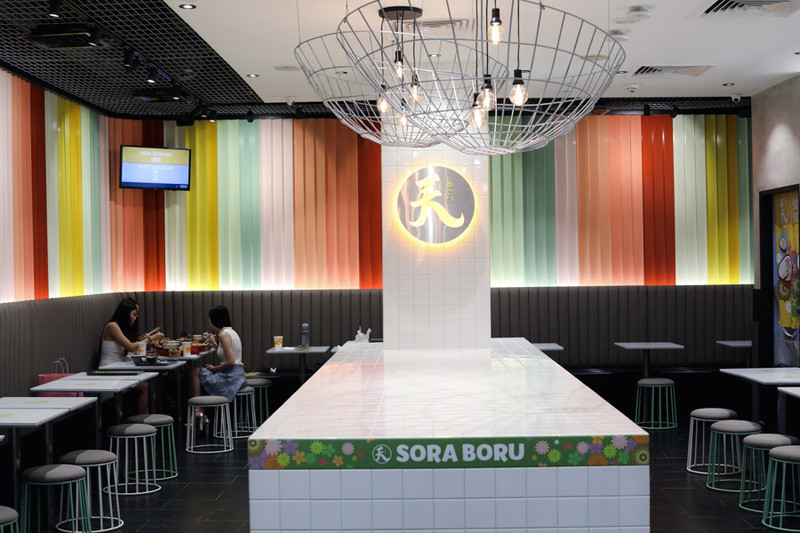 Don’t limit your one-bowl meals to just rice as Sora Boru also offers noodles like Cha Soba. 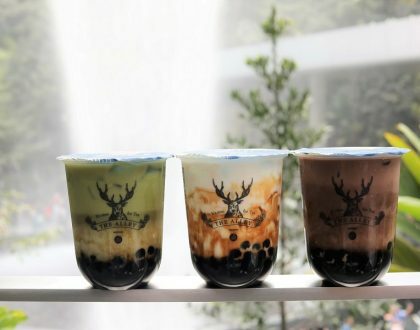 Can’t decide if you want some hot or cold? Worry not. The Cha Soba is good whether served chilled or in a bowl of hot soup. 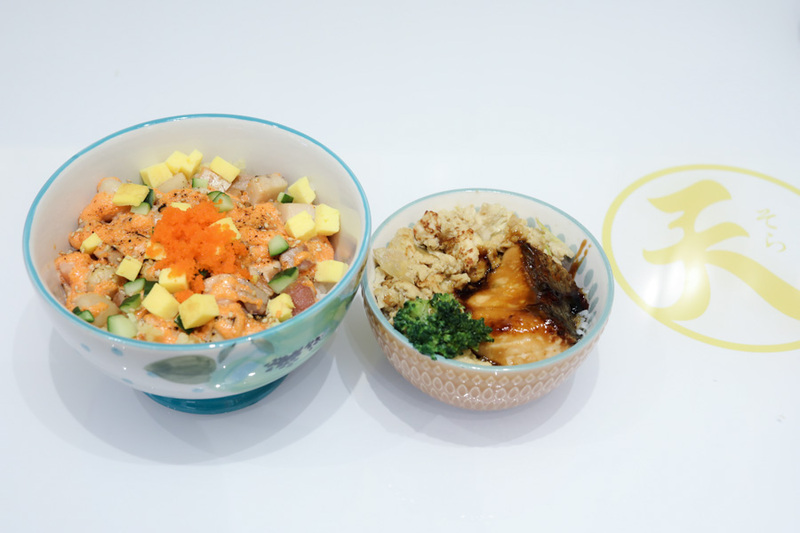 Relish it with sides like Ebi Vegetable Tempura (Regular – $12.90; Mini – $7.50) and Chicken Karaage (Regular -$10.90; Mini – $6.50). 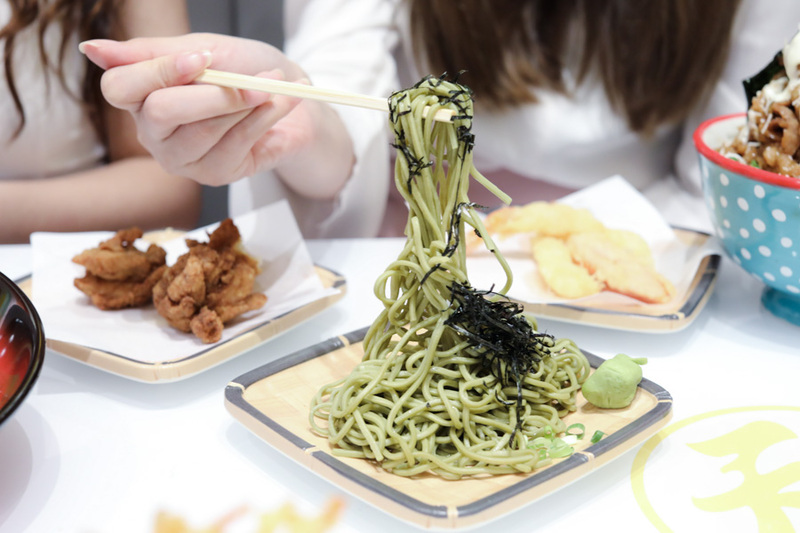 Another noodle dish is Soba with Vegetable Tempura, tailor-made for vegan and vegetarians as the soba noodles come with an assortment of vegetables. Lightly-battered pieces of eggplant, carrot, sweet potato, and shiitake mushroom are prepared tempura style. 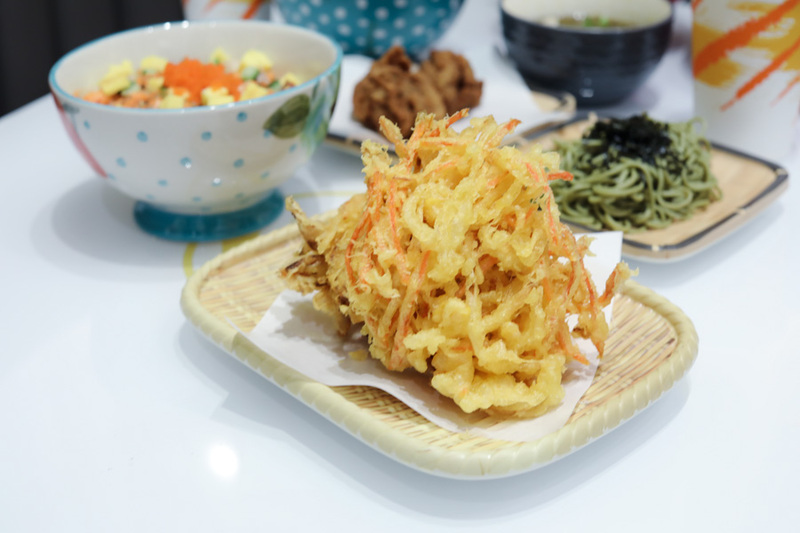 To complete your meal or fill-in those hunger gaps, choose from a bevy of side dishes like the Yasai Corn Tempura with Tartar Sauce ($5.50), a crunchy way to snack on sweet corn kernels clustered in a light batter and deep-fried ‘til crisp. Other choice picks include Salmon Sashimi ($5.50 for 5 slices), Chicken Gyoza ($8.50 for 6 pieces), and Crispy Salmon Skin with Egg Mayo Dip ($8.50). Add bells and whistles by adding a Chawanmushi, Miso Soup and Drink to your main. Pay an extra $2.90 for the Japanese steamed egg custard with either miso soup or a drink; or $3.90 for all three items. 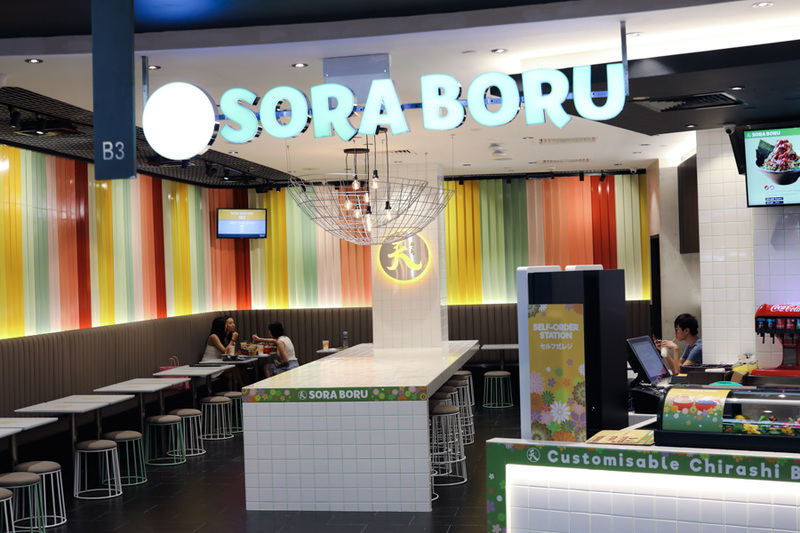 * This entry is brought to you in partnership with Sora Boru. It looks so yummy. I gonna try this at my home. You made so easy for me. Thanks for sharing.